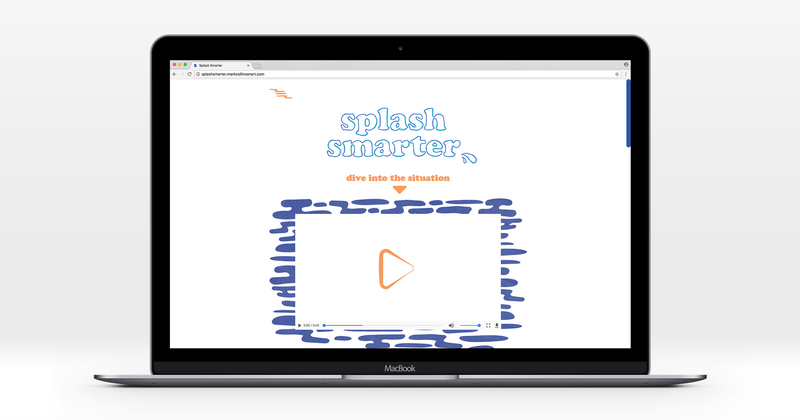 Splash Smarter is a web-based campaign that aims to encourage better household water practices in order to reduce our impact on New Zealand’s precious fresh water system. Early ideation, concept development and storyboarding were all shared between the team and a collaborative work ethic was consistent right throughout. 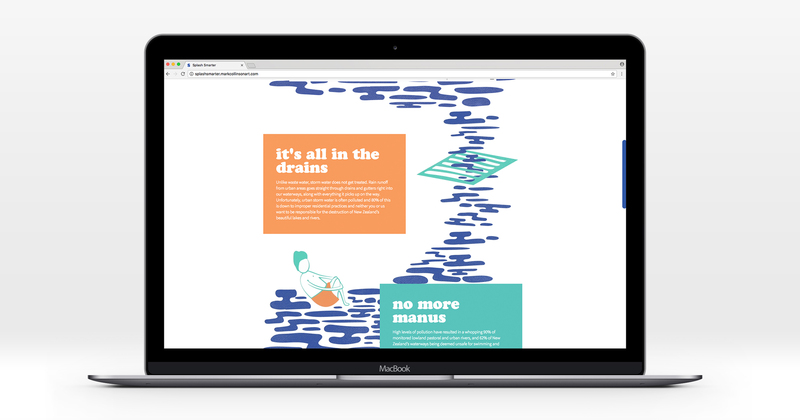 My key responsibilities were animating 'the solution' animation, creating all the gifs throughout the website and sorting all audio, including composing the soundtrack from scratch. The campaign targets young homeowners, as this group will be more flexible in developing new household habits for the long run. However, the approachable presentation of information affords the engagement of a wider audience. The website utilises interactive features that engage the user and support the information provided. 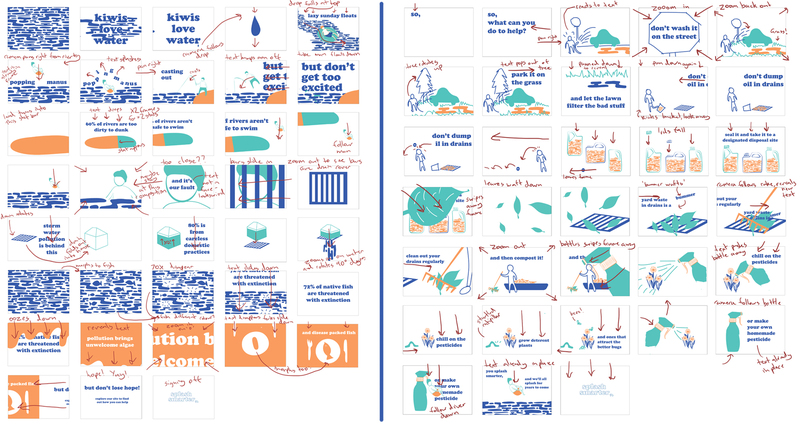 The text is categorised and separated within supporting illustrations, making potentially exhausting information digestible. 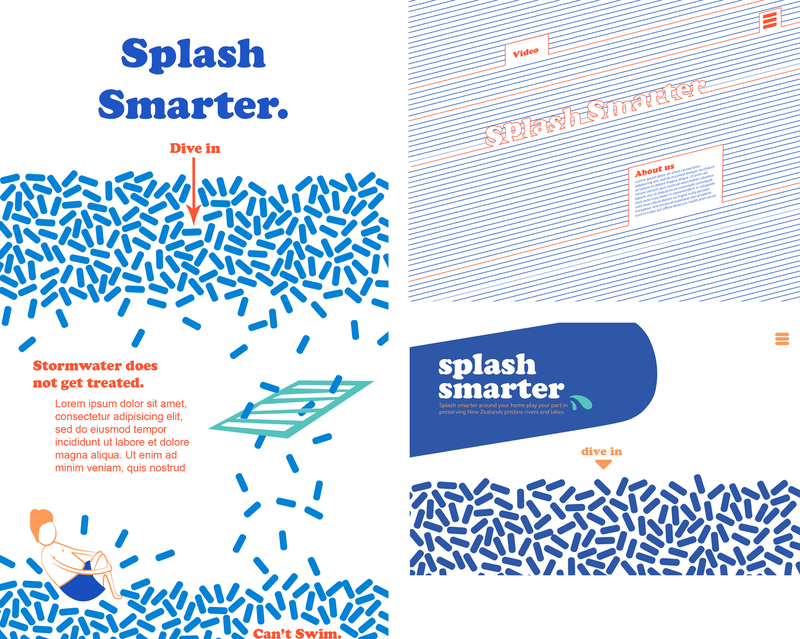 Consistency is developed between the animations and video through the use of our statement font, colour palette, and illustrations. This packages our website within a cohesive brand that could hold its own amongst the prevailing wave of eco-awareness initiatives today.